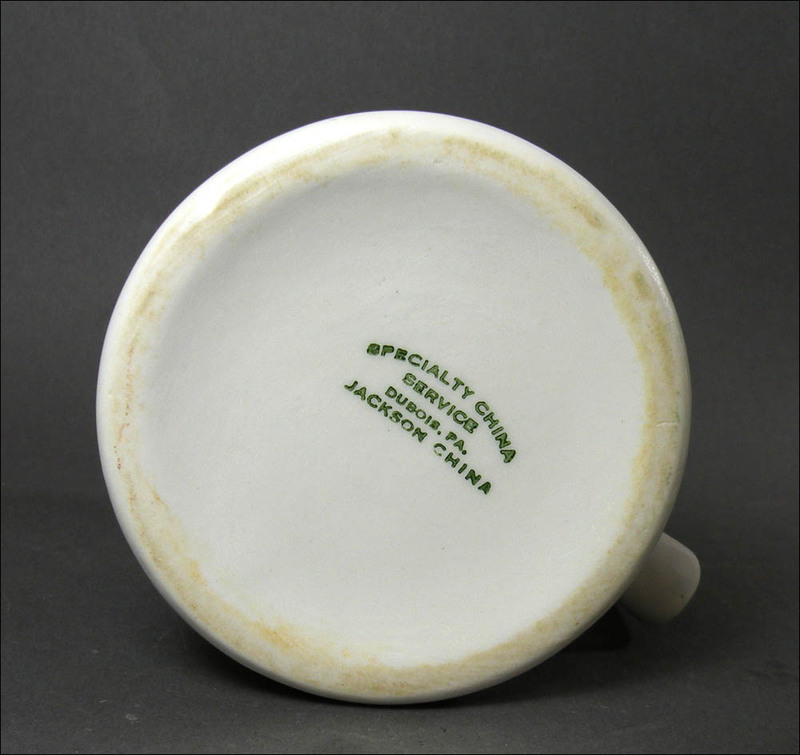 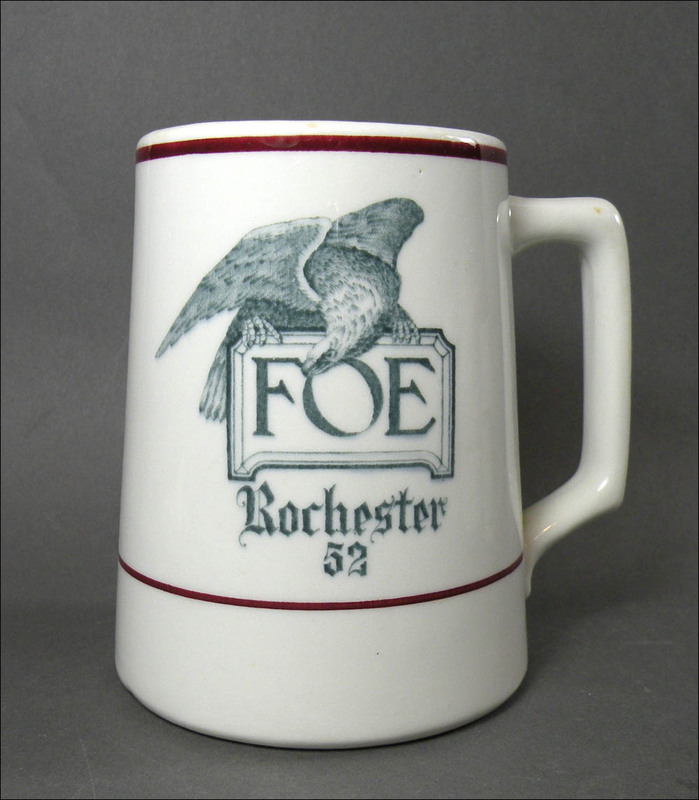 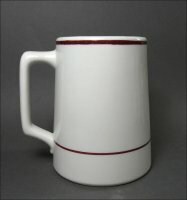 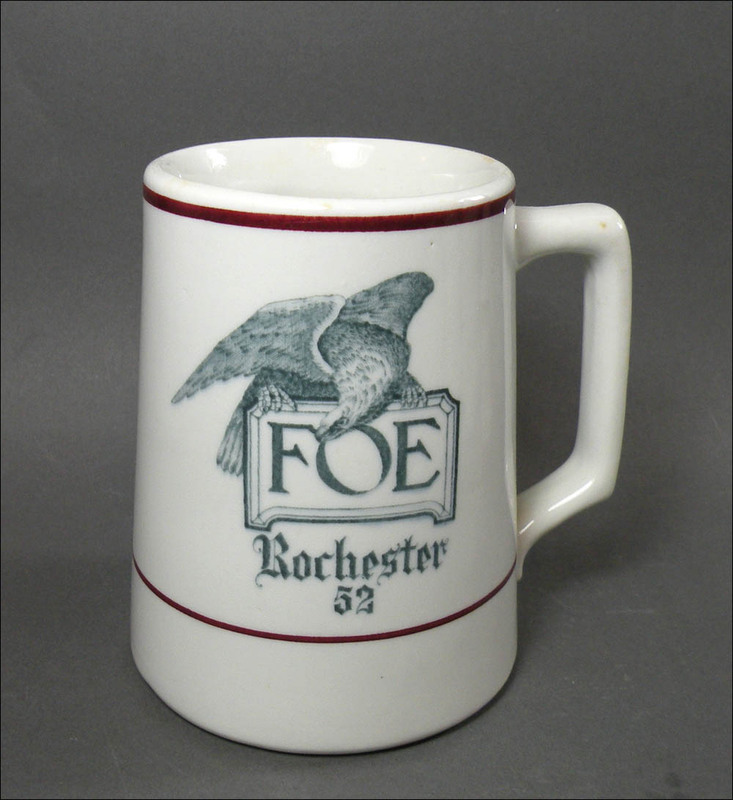 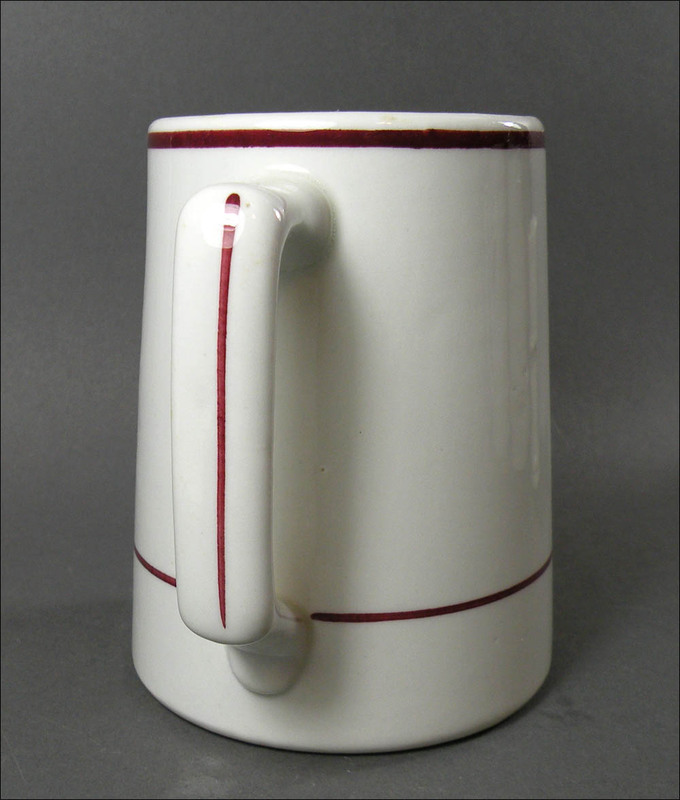 This mug with its handsome eagle topmark was used by the Fraternal Order of Eagles at the Rochester, N.Y., No. 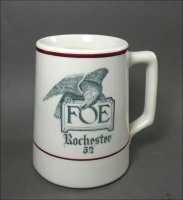 5 Aerie. Condition is excellent with light use marks. 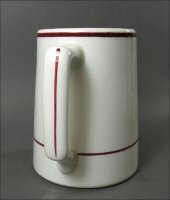 The glaze is shiny and bright.